Is it true that we can easily identify the concept and style of the house even from the front area of the house, right? We can see from the materials and texture of the house building in the exterior how the designer applied its concept. 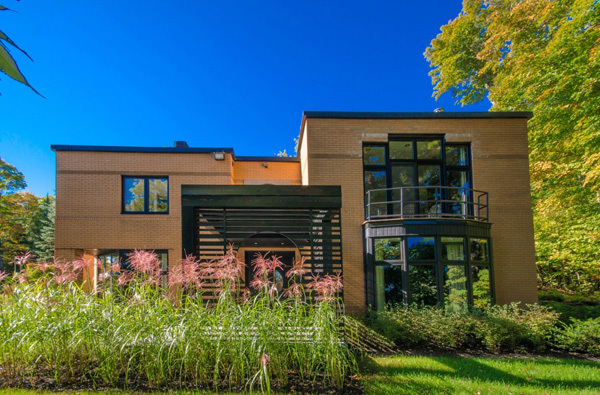 Today we will check the different elegant areas of the house named St Sauveur which is located in, Montreal Canada. 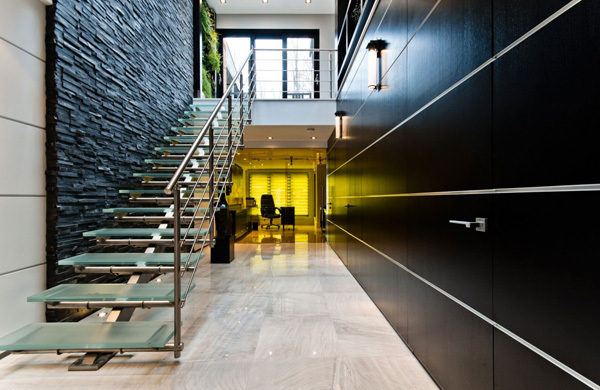 This is actually a contemporary private residence that unveils the amazing application of concrete and stainless steel. In fact, its interior design and architecture firm who built this has won the “Highly Commended” Award in the Interior Design Private Residence category in the Americas Division of the International Property Awards in London. Well the new owners of this house are a lovely couple whose children had grown up and left home. Their children also wanted to have a house in the mountaintop that would definitely meet all their desires in accumulated over the years in terms of interior design. Scroll down the page and see the different areas of this fashionable private residence through the images below. 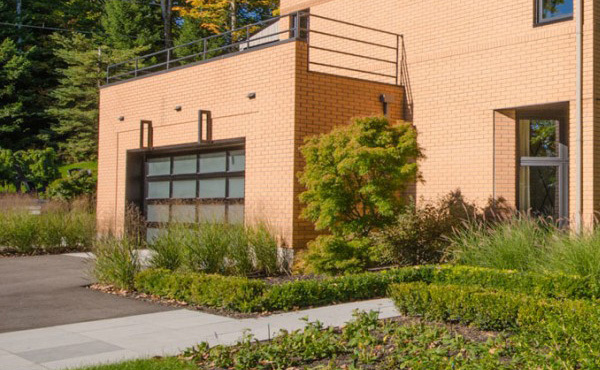 See how these beautiful landscapes underline the smooth and neat texture of the house building. A closer look at the patterns and volume of the edifice from the entrance and garage area of the house. Geometric forms and lines exposed the contemporary and private concept of the house. Transparency and accessibility is also stressed in the windows and doors in the terrace. The LED Lights installed in the interior graced the great ambiance and romantic mood in the living space. 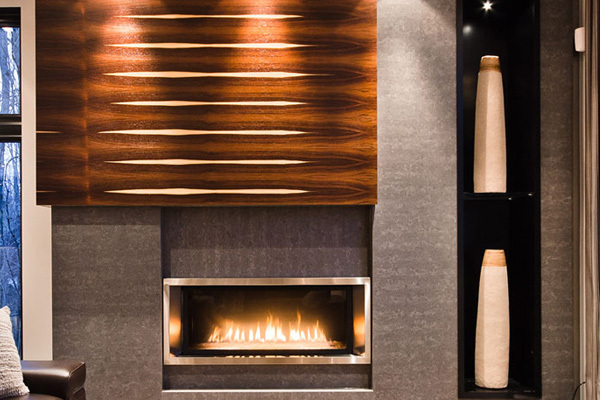 Here’s the fireplace in the house that also speaks elegance and charm in the living space. 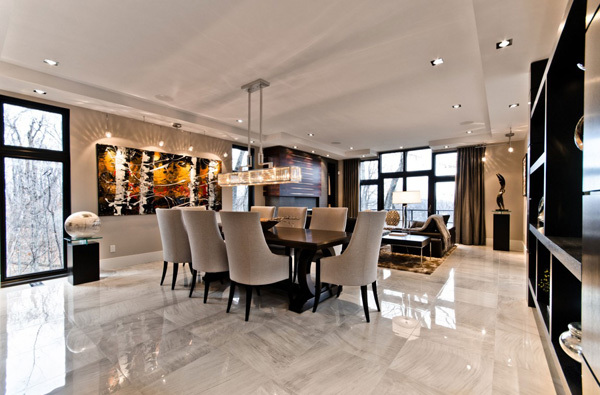 A glamorous design is emphasized in the dining space with this modern dining set. 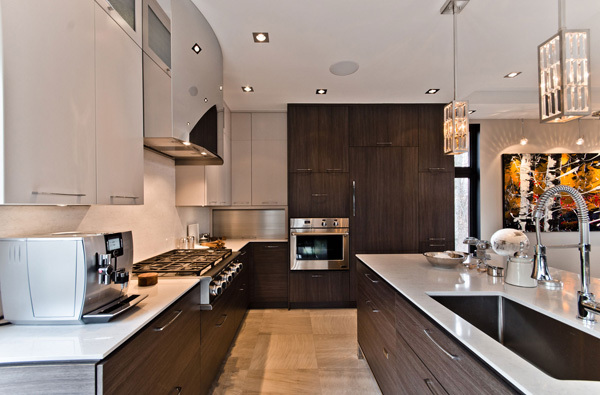 Chic style of the lamp underlines the luxurious and trendy concept of the kitchen. 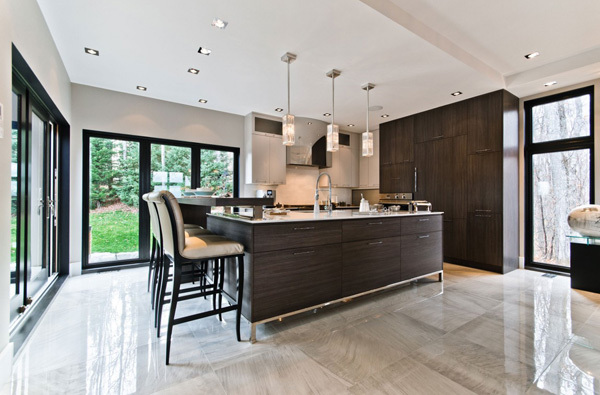 The stainless steel and trendy fixtures in this kitchen speaks its clean and modern features. 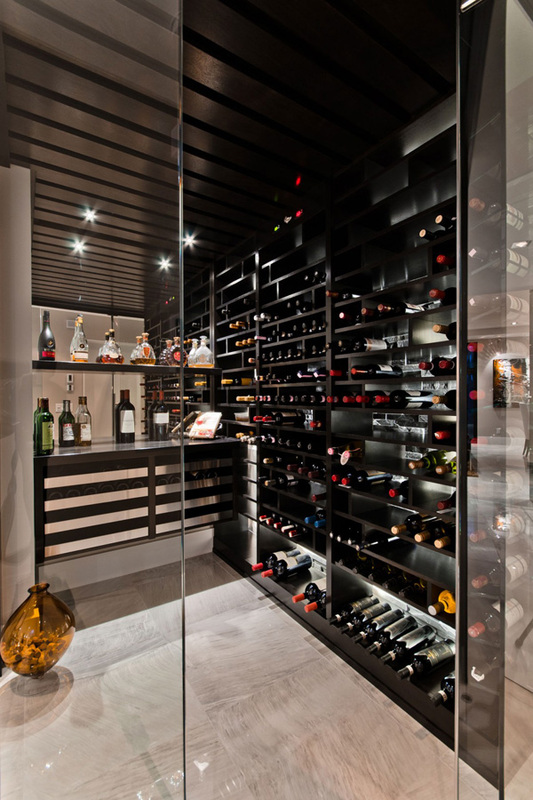 A special area where different wines can be exhibited and stored is ensured in the interior. A classy and romantic concept of bedroom magnificently stressed its luxury and charm. 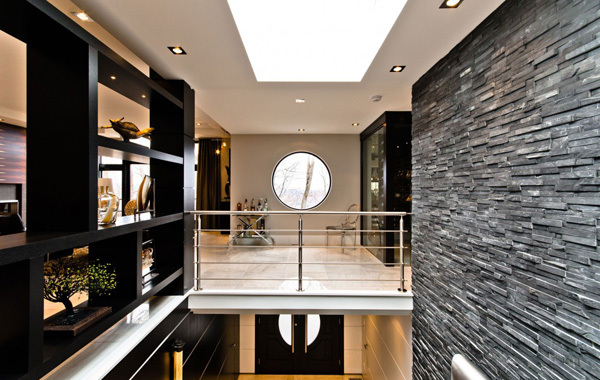 Glassed staircase in the interior shows not just the elegance but also the trendy elements in the interior. Different amazing accessories and furniture are also displayed in the second level of the house. 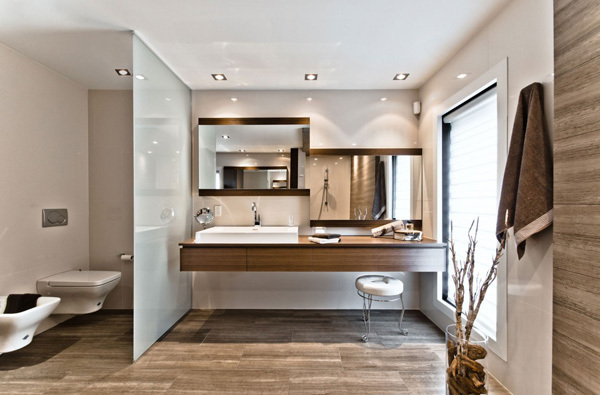 Take a look at the wooden patterned floor that perfectly matches with the modern mirrors in the powder area of this bathroom. 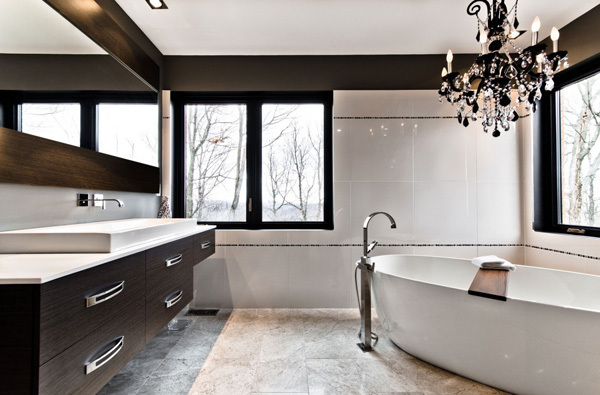 A costly dollar priced chandelier completes the luxurious and classy bathroom here. 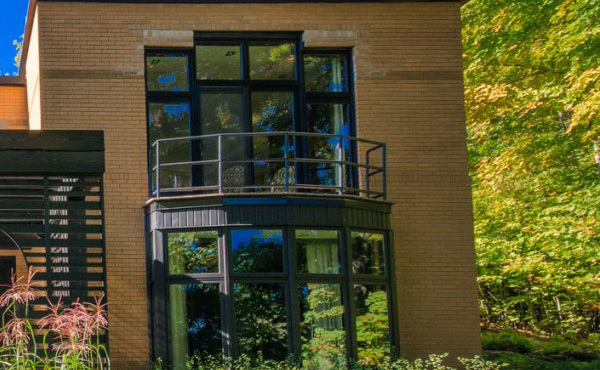 As we have explore the different amazing spaces of this house, we can say that the ActDesign effectively utilized the elements and materials that would made this house private and contemporary. What I really like the most in the house interior is the romantic mood set in the bedroom. The stylish and unique carpet harmonized with its themed colour. We hope that we have inspired you today with the listed ideas and designs uncover in our featured house for today. You may also apply the said features in your future house, too.